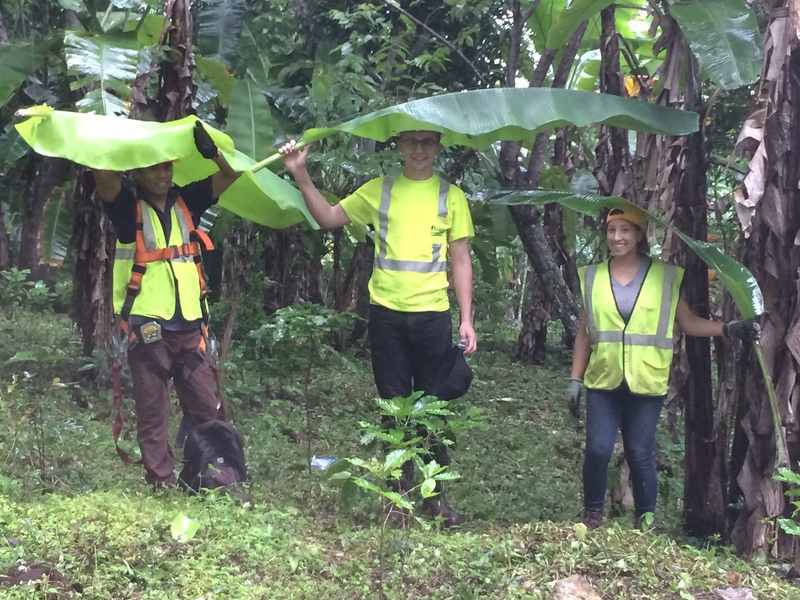 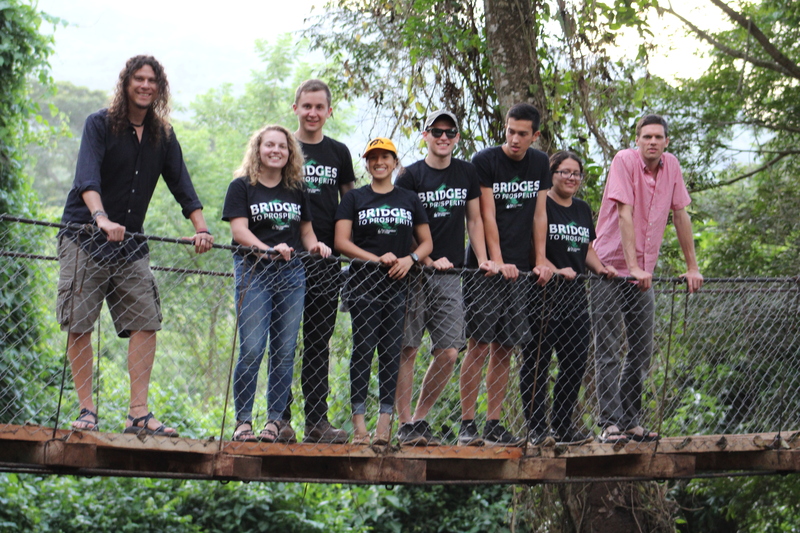 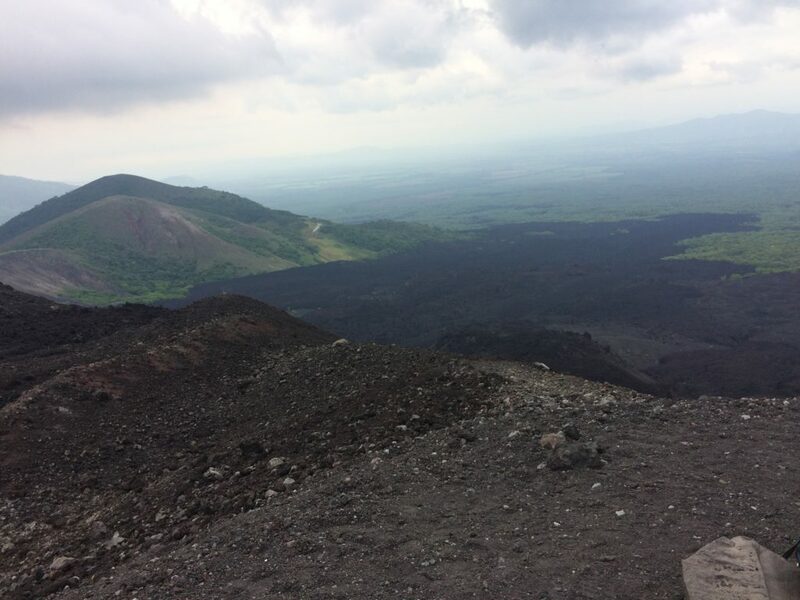 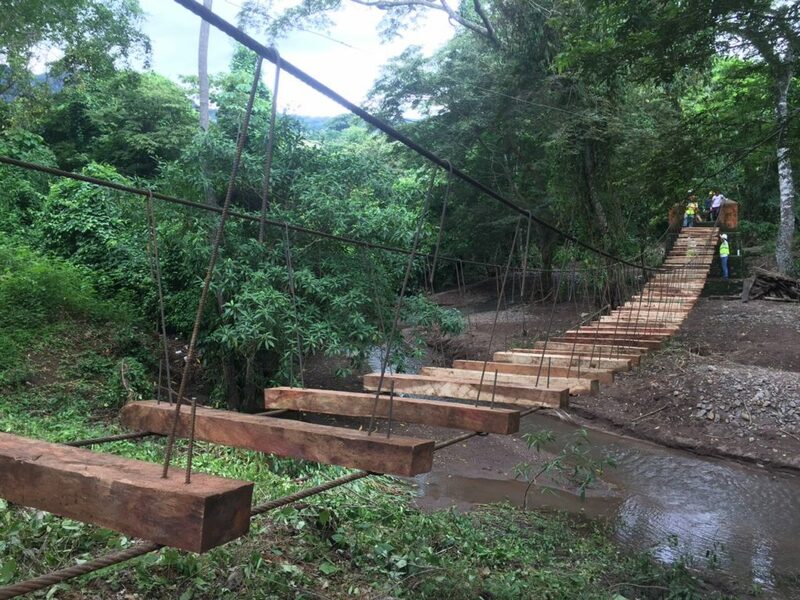 This past summer, we sent a travel team of 6 UIowa students, 2 UIowa professors, and 1 adjunct faculty member down to San Ramón, Nicaragua, where two deteriorating bridges awaited repair. 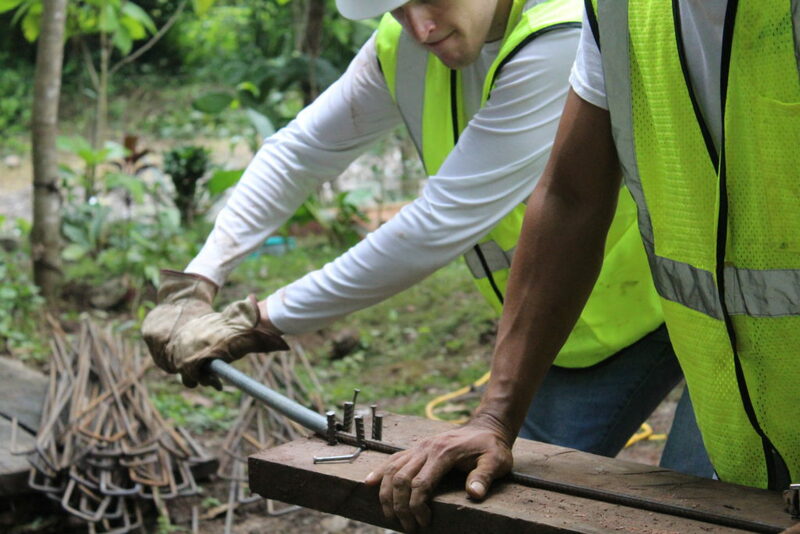 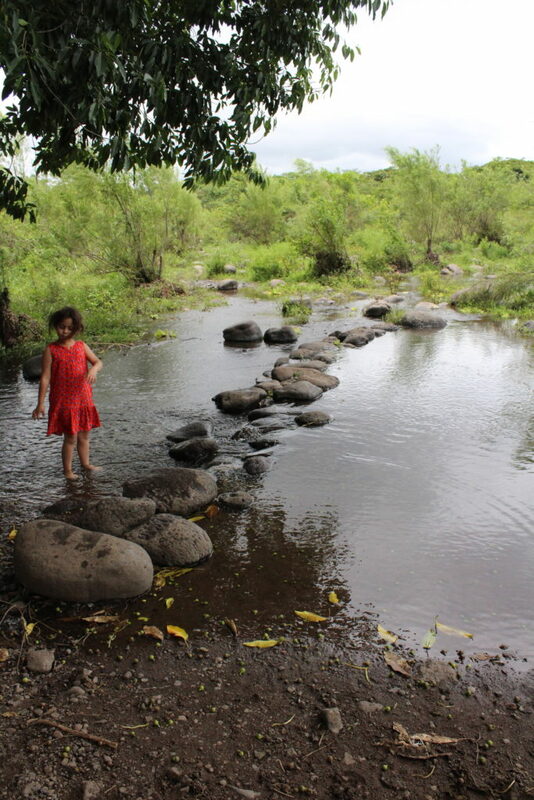 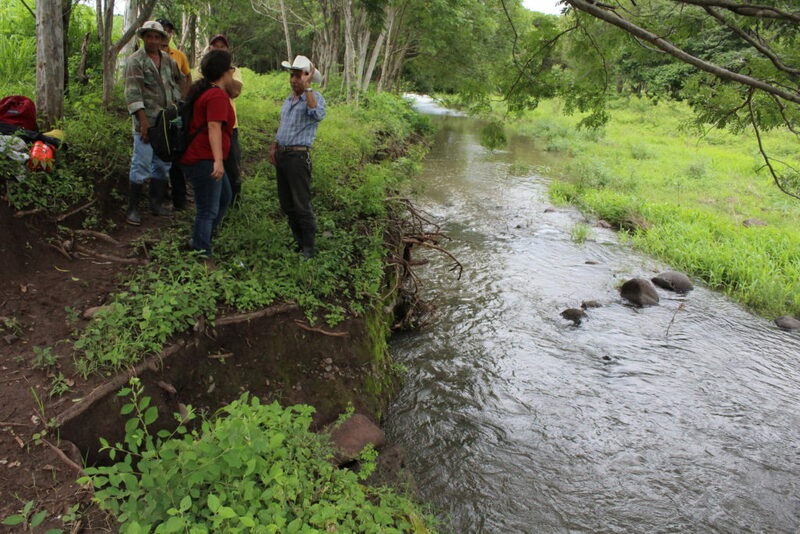 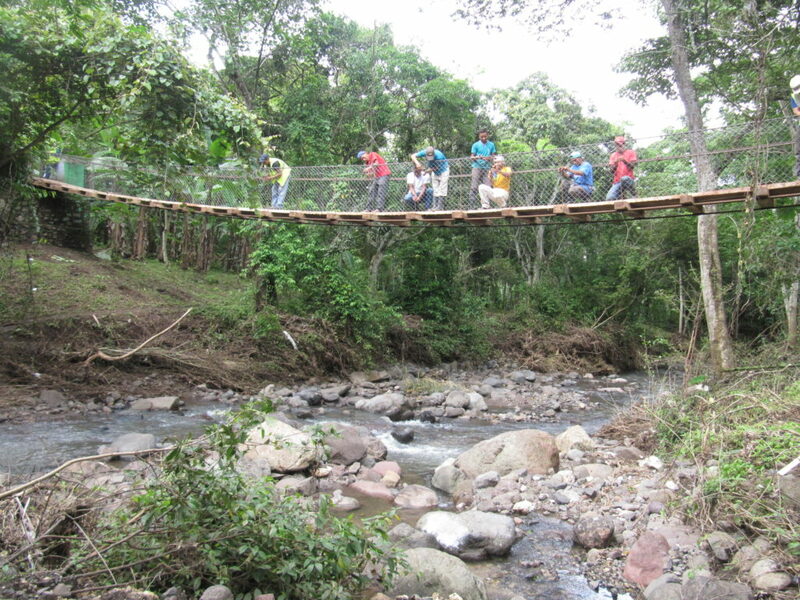 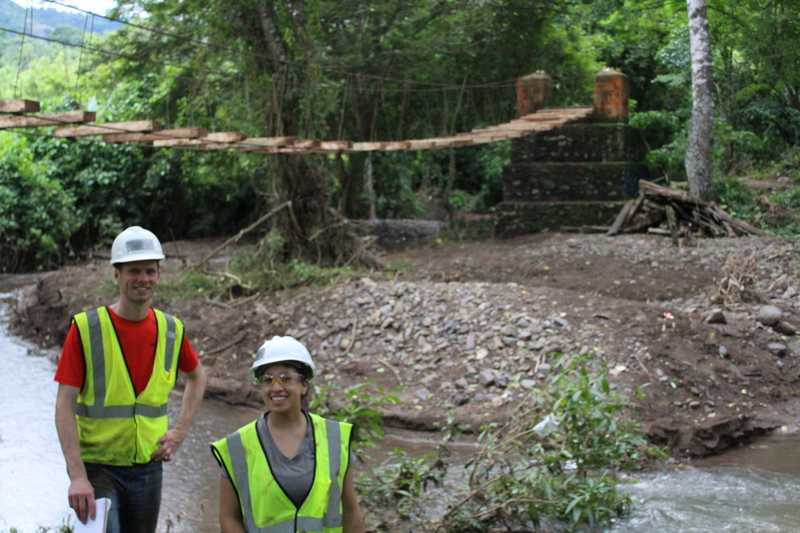 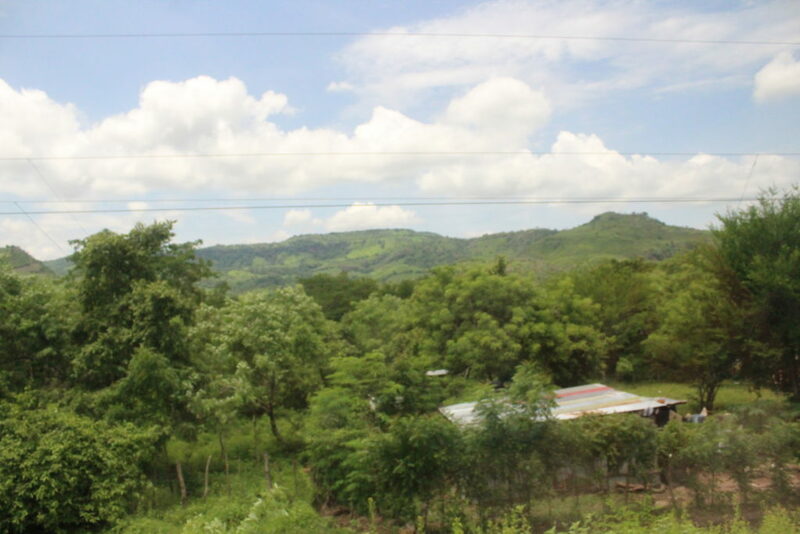 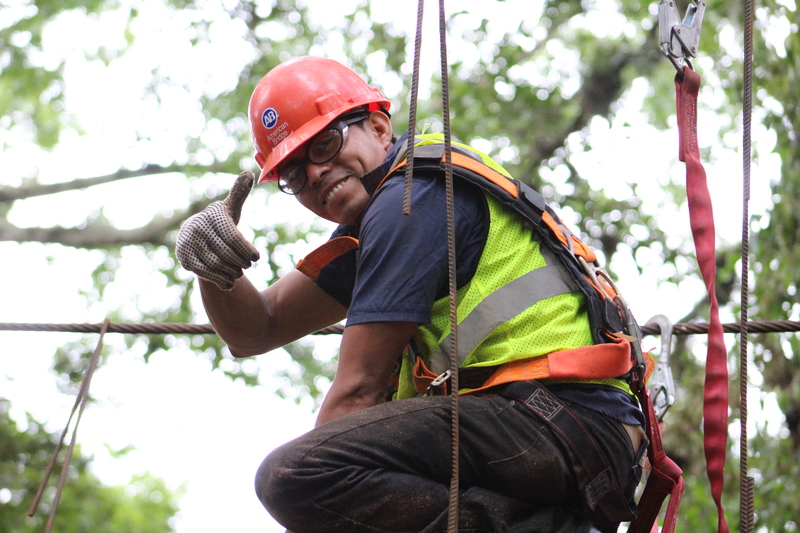 The bridge in Guadalupe, Continental Crossing’s first project in Nicaragua, had an untrustworthy walkway. 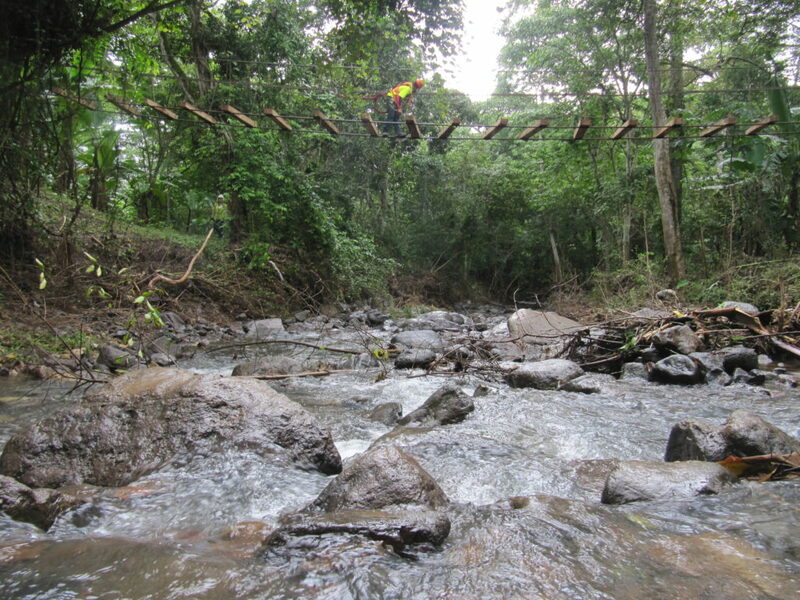 Insects had eaten their way into the wood deck boards, causing the deck boards to splinter and sometimes fall into the river below. 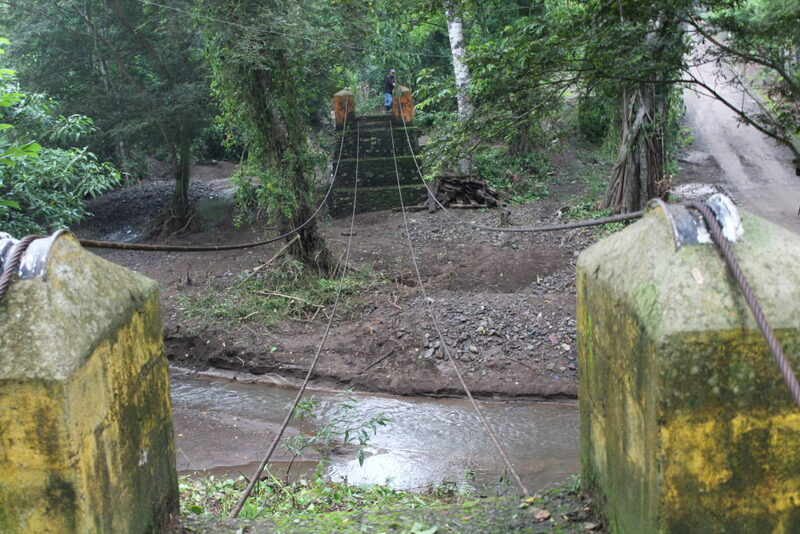 The Samulali bridge faced the same issue, but also needed an supplemental handrail cable. We finished Guadalupe within the first two weeks of our time in San Ramón, replacing the decking, rebar, and fencing with the help of community members, our mason-in-training Mario, and of course, our incumbent mason Chepe. 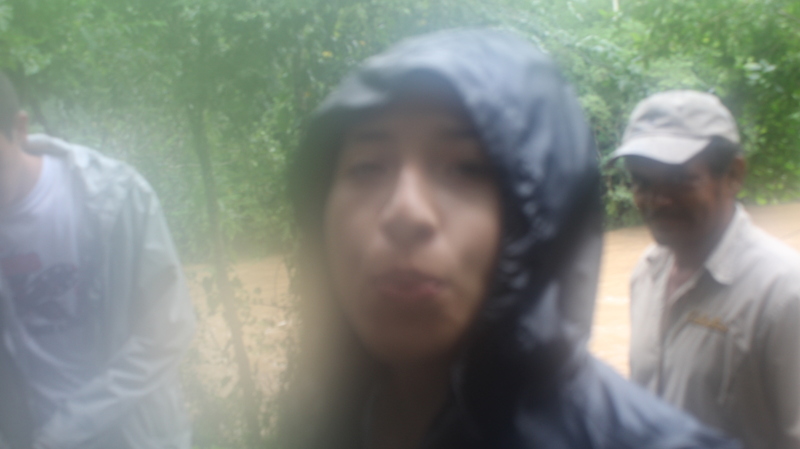 Samulali was finished even more quickly than Guadalupe, despite the rain and rising river. 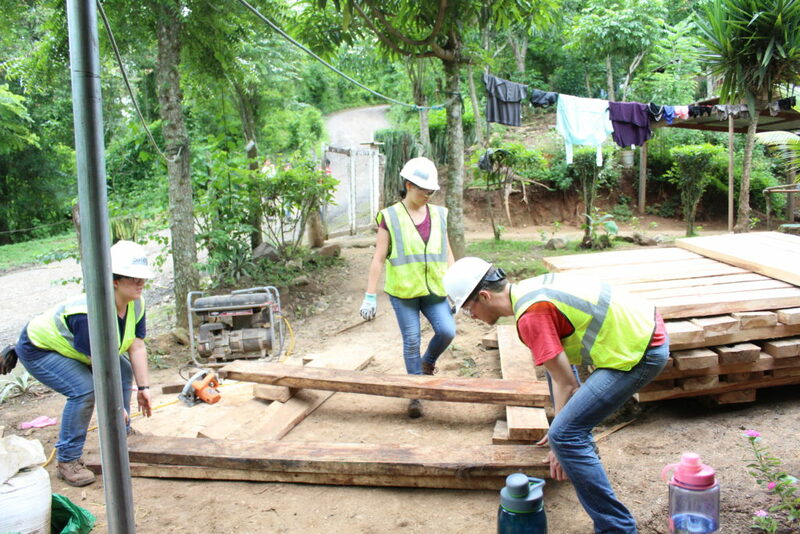 An amazing amount of community members were able to help out, carrying crossbeams and deck boards (sometimes two at a time!) 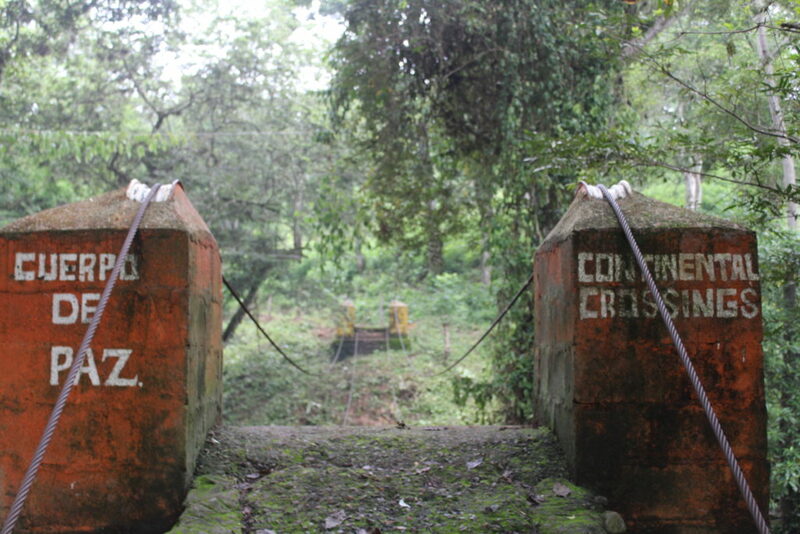 on their backs down the hill to the site. 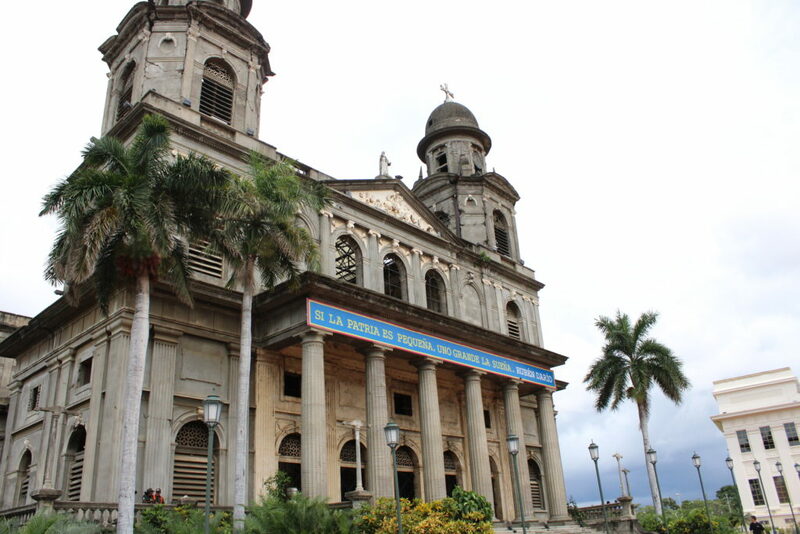 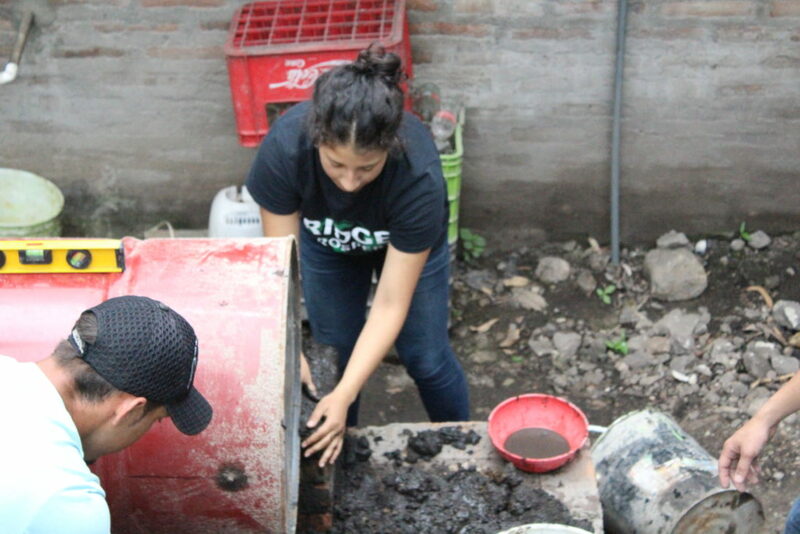 During our time in San Ramón, we were able to stay with Chepe and his family in their home, right across the street from our Guadalupe site. We celebrated the Chepe’s son’s 3rd birthday with their family, and held a little 4th of July celebration as well. 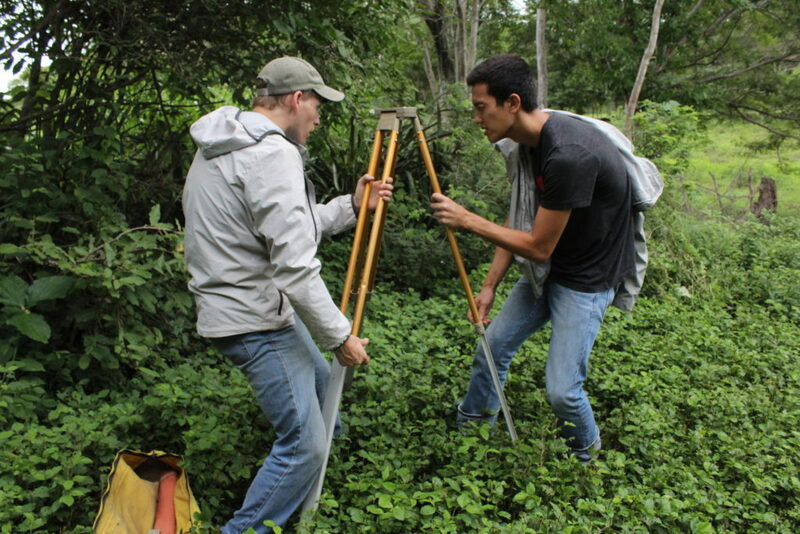 After the bridges were fixed, the team surveyed multiple prospective bridge sites, in an attempt to find one that the 2018 Travel Team will be able to work with. Somehow, overtime we went out to survey, it rained. 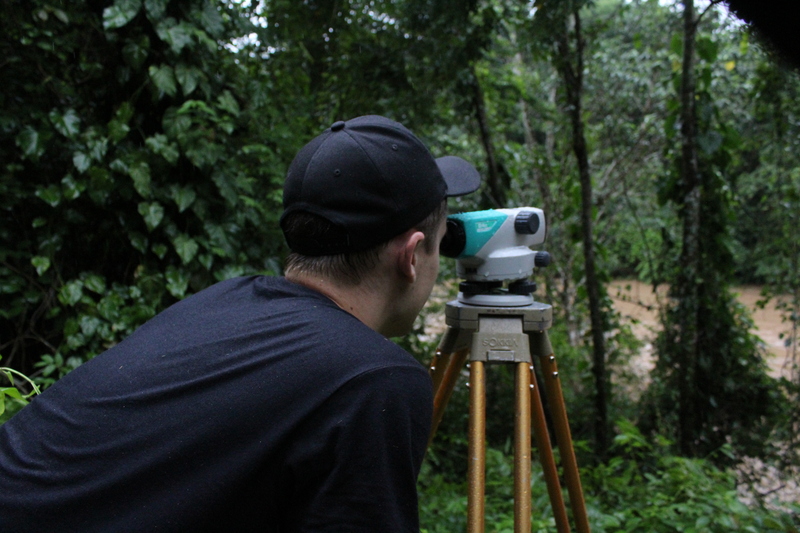 This caused a unique slew of challenges: fogging camera lenses, slippery river banks, unstable surveying grounds, and mosquitos (well, more than expected). 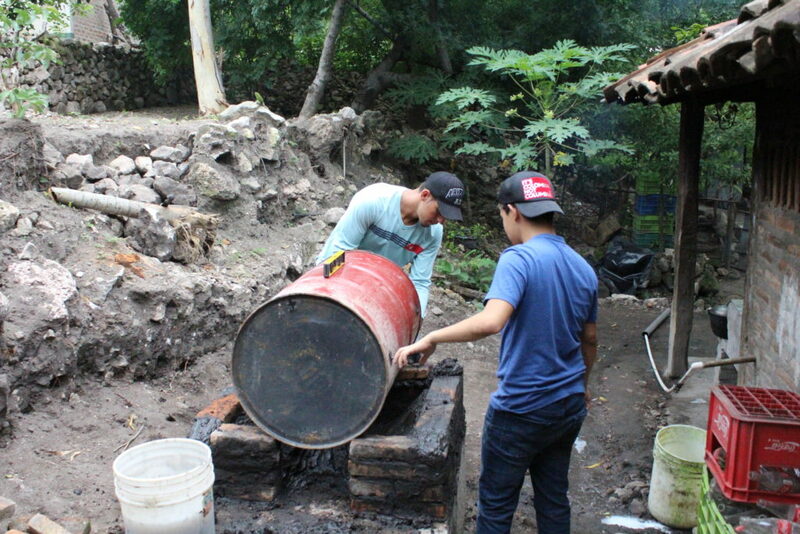 In addition to looking for more sites, we collaborated with EOS International in their oven-installations and English classes.